Joint recall with Health Canada, the United States Consumer Product Safety Commission (US CPSC) and Vista Railings Systems, Inc. 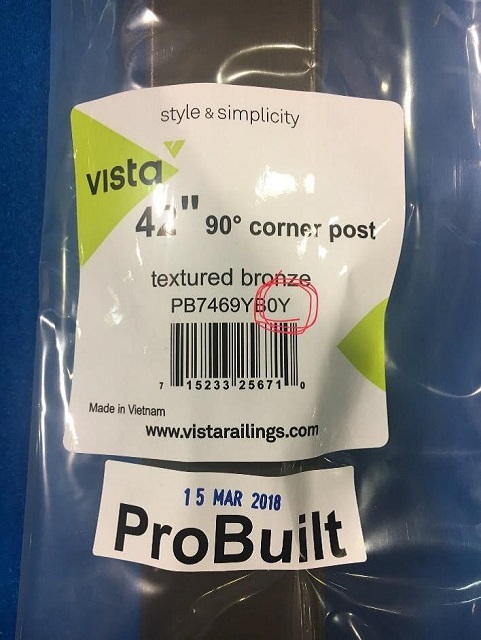 This voluntary recall involves ProBuilt aluminum deck railing posts imported by Ryerson Canada and distributed by Vista Railings Systems. These posts are used in residential aluminum railing systems on exterior porches, decks and their stairways. The posts connect the horizontal rails in the system and are designed to be anchored to the floor of the deck or porch. If still in their packaging the item # on the label will end with a 'Y'. 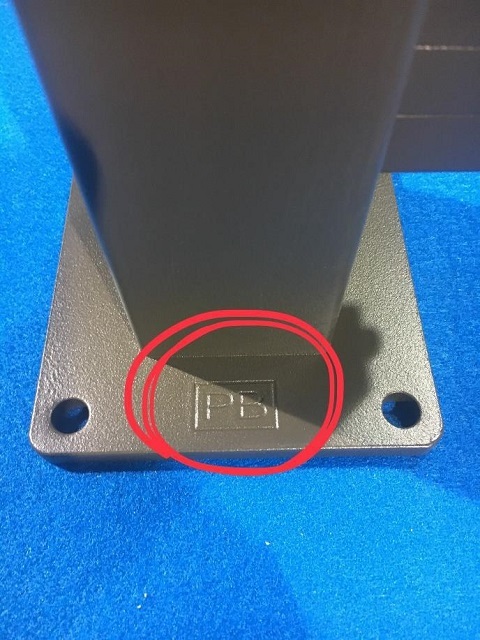 If the post is no longer in the original packaging the affected Posts can be identified by a 'PB' stamped on the top of the post's base plate. As of October 11, 2018, the company has received no report of incidents or injuries in Canada or in the United States. Approximately 23,537 units of the affected products were sold in Canada and approximately 4,335 units were sold in the United States. The affected products were sold from January 1, 2017 to June 14, 2018 in both Canada and the United States. Customers should immediately contact Vista Railing Systems for either replacement screws or a set of gussets that can be applied to the post, both of which have been tested and certified as meeting building code requirements. For more information, customers should visit the firm's website. Replacement screws or a set of gussets can also be ordered directly at post-fix.com. Alternatively, customers may contact Vista Railing Systems toll free at 1-800-667-8247 from Monday through Friday between 8:00 AM to 4:00 PM PST.